Today was Family Day, according to the government of Alberta. I think it was instituted because someone in the bureaucracy said, "Hmm, we don't have a long weekend in February. Look, the US banks are closed on the third Monday of the month, so why don't we make a holiday then? But we can't call ours "President's Day!" There's already enough holidays named after rodents, famous people and saints, so let's call it...Family Day! Yah! Sounds good!" No complaints here. It's nice to have a long weekend once a month. 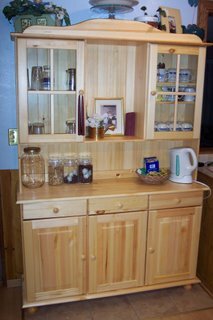 What I mean is, he spent the day putting this beautiful buffet-hutch together. Jabin and I took a little trip to Grand Prairie on Saturday to pick it up from Jysk, since it finally came in after I ordered it over a month ago. Of course, it came in two boxes, and my husband lovingly spent his day off interpreting the not-very-well-written instructions so I could enjoy the benefits of added storage space in my kitchen. Plus, being pine, it smells flippin' awesome! For myself, I am proud to say I used the new drill I bought Jason for Valentine's day and put up a curtain rod ALL BY MYSELF! It's even level! I've never used a drill before. It was fun! I might even put up ANOTHER ONE tomorrow! Perhaps I'll take a woodworking class or something this fall, because it would be fun to be able to make my own shelving and stuff I want, instead of continually being frustrated by the lack of selection in the stores--seems like everything affordable is cheap compressed sawdust covered in vinyl veneer. I want something high-quality that will last, but my pocket-book says "NOOOO!" So, that's why I'm a do-it-yourselfer. I sew, but not as a hobby-it's because purchasing clothes that actually fit my long limbs requires 2-3 times as much money as making them myself! I had to giggle when I came around the corner of the living room yesterday and spotted Buzz Lightyear laying under the baby gym. I can just envision Jude carefully placing him there so he would be entertained while Jude was away at the Burdick's, playing in the snow! Wow, sounds like a busy weekend. 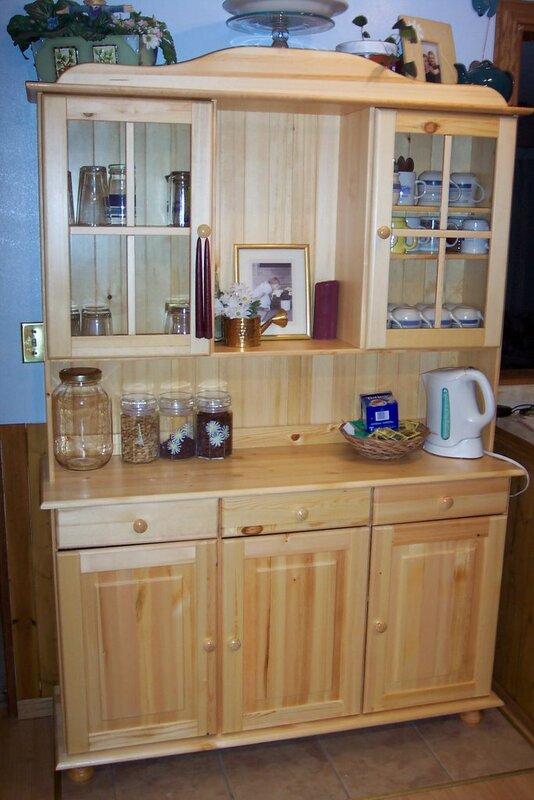 That cabinet thing that Jason built looks pretty good. Nice job!! 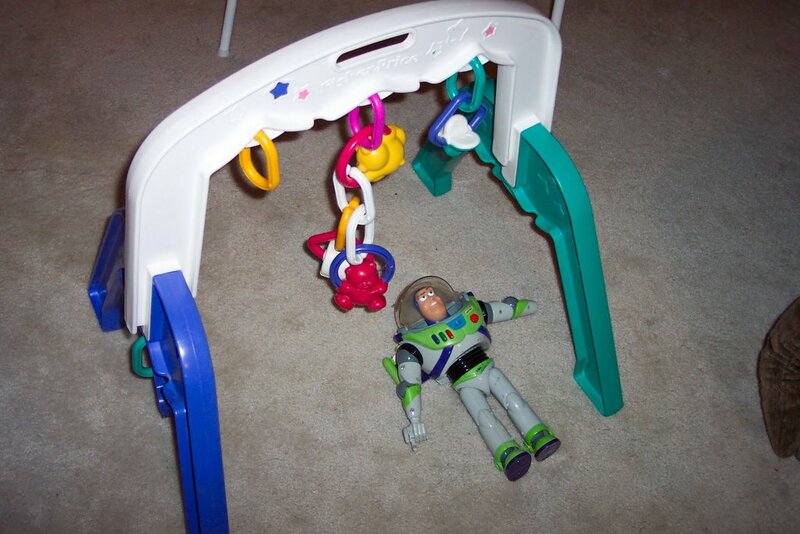 It's nice that Jude is so considerate of his toys to want to entertain them like that (hahaha). As for me, I literally ran all over Downtown Vancouver on Saturday. LOTS of walking, but good times. The Amazing Race is coming together. It's been 5 years since I've had the opportunity to celebrate family day (since they don't have family day here in BC). I forgot about that wonderful little gov't instituted day off.